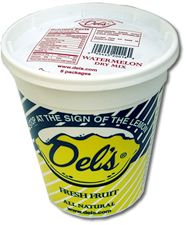 There’s nothing more summery than a cold cup of Del’s Watermelon Lemonade! What better way to chill out at an afternoon cookout or poolside party than to sip on a fresh cup of watermelon flavored frozen lemonade. 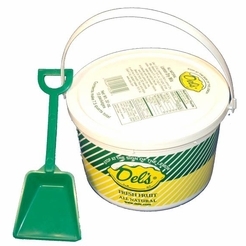 This is the same mix used in Del’s stores, stands, and trucks! 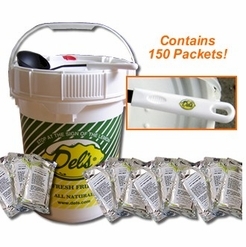 One quart will yield a gallon of frozen lemonade for a total of 16 servings! It’s simple and easy to make. Just add water, ice, and Watermelon Lemonade Soft Frozen Dry Mix in a blender and in thirty seconds you will have yourselves two servings of fresh frozen lemonade drink to dole out to your guests and yourself! Ingredients: Filtered Water, High Fructose Corn Syrup, Watermelon Flavor, Citric Acid, Carmine. Mix one 2 oz. package or measure 2.0 oz. (1/3 cup) of Del's Watermelon Lemonade Dry Mix. Measure 16 oz. (2cups) of ice cubes. Measure 8 oz. (1 cup) of filtered water and add to the ice. 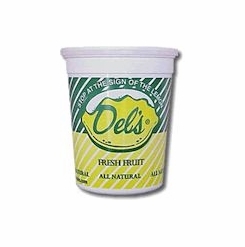 In a blender add the ice/water mixture, and Del's Watermelon Lemonade dry mix. Blend for 30 seconds or until ice is smooth. Pour and Enjoy. Contents: 8 - 2 oz. 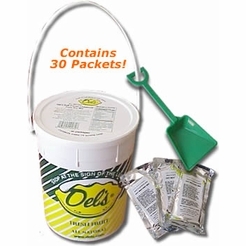 packages (Total 16 oz.) 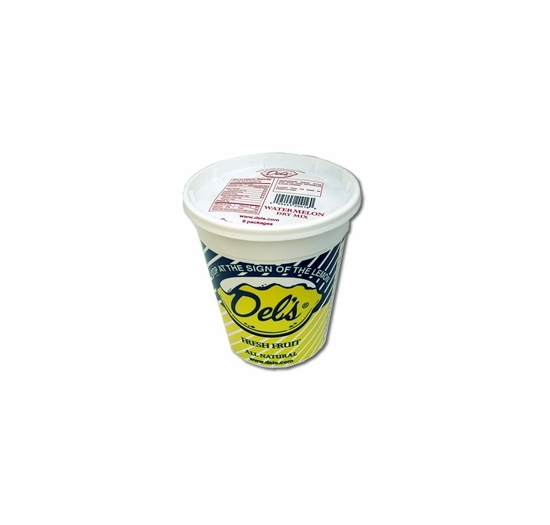 Each container will make a total of 4 quarts.